Your new BFF - the Bazzill app! "The new Bazzill iPhone app puts more than 500 Bazzill cardstock colors at your finger tips! Whether you are on-the-go shopping at your favorite scrapbook store, cropping with friends, or working on a project at home, this Bazzill app will be your new best friend. Use the color matching feature to pull Bazzill cardstock color suggestions from any photo you plan to scrapbook. Find important Bazzill cardstock information like part numbers, cardstock textures, and color names. When printing invitations or scrapbook page titles, you can refer to the Bazzill app for the closest color matches in RGB and CYMK code. The Bazzill app will help you find time to scrapbook your family's memories, give you endless design options, and bring Bazzill color to all your paper crafting projects. Can be used with iPhone®, iTouch®, and iPad® products. ● Browse more than 500 Bazzill cardstock colors alphabetically by name. ● Browse more than 500 Bazzill cardstock colors visually by color family. ● Browse more than 500 Bazzill cardstock colors grouped by texture. ● Easy access to RGB and CMYK values for all cardstock colors. ● Find the perfect Bazzill cardstock match for your photographs. ● Create and save color palettes from colors picked from the elements in your photos. Save it to use again and again. ● Create the perfect color palette with monochromatic, complementary, triadic, analogous and split-complementary color combinations for all Bazzill cardstock colors." So, if you would like to win this great APP for you and a friend, please leave a comment below before 6:00 p.m. EST on Thursday, May 6th! "Oooooh. Very pretty collection. Thanks for the great giveaway! I would love to add it to my ever growing obsession with papers! :)"
Congratulations Amy! Jen will contact you in the next few days to get your mailing details. Don't forget National Scrapbook Day is tomorrow! We've got a challenge, a reveal and some prizes all right here. It is going to be a great day with the SCT team! One more sleep! Have a great Friday - see you tomorrow! Good morning! We hope you are all having a great week and looking forward to joining us on Saturday for National Scrapbook Day! Our team has had some fun this week with a little "assignment" they can't wait to share with you. And of course we have some other little fun things planned too...in SCT style! 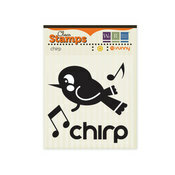 Supplies: Cardstock, Stampin' Up!, stamps, Papertrey Ink; Ink, Stampin' Up! 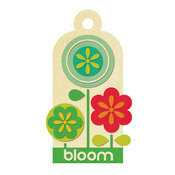 ; Accessories, Stampin' Up! Todays reader's submission is a beautiful card from Heather Pulvirenti. We loved the soft colour palette she used, the masterfully tied bow and the adorable stick pins just make it complete! Couldn't this be a sweet idea for a Mother's day card? 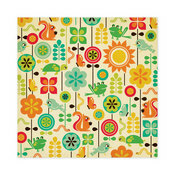 Speaking of Mother's Day, we would love to feature YOUR Mother's Day cards, layouts about Mom (or a special Mom to you!) or altered gift ideas on our blog next Thursday! And, if we choose your project to be featured, we will send you our spring issue as a thank you! Send your artwork to ideas@scrapbookandcards.com and use "mother's day" as a reference. If you have not already done so, please leave a comment on last Friday's post by 6:00 p.m. today to win the Vintage Blue collection from We R Memory Keepers! Designer's Project with Kathy Thompson! Hello again! Hopefully after Monday’s post, you had some time to reflect on what you consider to be a ‘good’ photo. I think the conclusion is that good photography, above and beyond the technical, is subjective, which is a ‘good’ thing! I chose to use what I consider to be a ‘good photo’. It’s a good photo technically (it’s clearly and sharply in focus, it’s well exposed and the composition is good) but it’s also good in my opinion, for other reasons. I love it because I thought my daughter looked so beautiful she took my breath away. I love it because I could feel the excitement in the air as she was heading off to the prom for the first time. I love it because I loved the dress she was wearing and how her hair looked and how she did her makeup. So to me, that’s a whole lot of ‘good’!! For me, a good scrapbook page starts with a good photo – as discussed, good for whatever reason, to you. Have you put National Scrapbook Day, May 1st, on your calendar yet? Be sure to join us right here! 3T's Tuesday - Davinie's roses! Finding different ways to make flowers has been a popular trend in scrapbooking lately. With that in mind, I wanted to share a floral technique to make rosettes on your layouts, just as I did on my "Fresh" layout for the Spring issue on page 43 (be sure to download this beautiful issue for FREE!). I had seen a table centerpiece on the web with these tight rosebuds and wanted to create something similar for my layout. As I was working on this project, I wasn't happy with how my flower was looking, which then resulted in a happy accident that has turned into something I adore making. And, I wanted to share with you how these pretty little things came about! 1. Trim a circle. I used circle punches for my flowers. You could also used a scallop circle. 2. Take your scissors and trim a swirl around the perimeter a few times, getting smaller each time. You don't need to draw a line first either. Just eyeball it and keep trimming. 4. This is where the happiness happened. I rolled it up and wasn't really happy with my flower. I thought it was far too tight and was far too dimensional for my page. And I was instantly in love. And then I made several more in different sizes...lol! When you are adhering, you can adjust it. You can hide the end with a brad or a button in the middle of your flower, just as I did on my layout. Tip: To adhere the flower, the easiest way is to use glue dots as you roll. There are many variations of this flower all over the web now. You can roll it tight, sand the top, and create lots of different sizes! Also be sure to visit us right here this Saturday, May 1st for a "National Scrapbook Day" celebration with the SCT team! What makes a good photo good? Photography can be such an emotional thing. Certain photos can evoke different reactions from different people. But can you really define what makes a ‘good’ photograph , well. . . good? So our seemingly simple question isn’t so simple, is it? Good technical photography is one thing, but in my opinion, good photography is photography that stirs you. That evokes something within you, for whatever reason. So here’s another question: what’s your favourite photo that you’ve taken lately, and why? Project 12 - March reveal - May sketch! Hello April! In my area, April is a time of unpredictable weather, my Mom’s birthday, and Spring soccer. Our family has been very busy this month, and I hope your April is shaping up in a fun kind of busy too. March at my house was busy as well. We have two birthdays in March, so the whole month is filled with party planning and cake. My youngest daughter is the last birthday of the year in our little family, so she has a lot of ideas on how we spend her special day. She wanted a purple Pegasus unicorn horse birthday with puppy plates and rainbow streamers, and a piñata. I ran my first official 5k this month and we dusted off our camp trailer for our first Spring camping trip as well. In addition, this protective Mom finally let her Kindergartner ride the bus home from school, and it started in March. With a lot to talk a lot of photos to take, it was fun going through my files to choose the photos to use for my March layout. Supplies: Bazzill kraft cardstock, Studio Calico patterned paper, stamp, button and stitch rubons, October Afternoon patterned paper, Doodlebug frills, Maya Road sheer calendar, jute ). The wonderful thing about Project 12 is that this is YOUR challenge. You are doing the record keeping for your life. This challenge is about documenting your life, without monitoring the details. Becky Fleck has designed sketches to help you with this challenge, but you don’t have to use them. This challenge is about telling YOUR story. With that said, I wanted to highlight a couple of creations that were submitted this month. Be sure to check out the Facebook gallery for March, as well as those from previous submissions, because there is a wealth of inspiration there. Check out the Facebook gallery here. I like how she followed the general design of the sketch but added themed appropriate embellishments and made some of her photos a bit larger than the sketch to tell her story. In using the photos, I like how she grouped the cake eating photos and separated them from the others with the journaling box. The flowers she created for this layout are gorgeous, I love the black flourishes, and that little owl is perfect right there next to her title. I also like the photos she chose to do in color vs. the black and white photos on this layout. Thank you so much for participating in Project 12! I love sharing this adventure with you and I hope you are happy with how your albums are coming along, and how easy it is to document your life this way. I have to tell you…we’ve been so busy that I had to go through my March photos in order to work on my journaling. Only a month later, I had already forgotten some of the details, which is one reason this project is so important to me. Turn off your flash so you don’t get glare on your photos or shiny embellishments. Lay your layout on the floor next to a window on a nice day when you are getting good natural a indirect light. Place your layout on a white sheet, foam core, or white cardstock. Stand directly over your layout and look down to take your photo. Watch the edges of your layout on the bottom, and on one side as you look through your camera lens so you can angle yourself to be directly over it. This will help your layout look square when you look at your photo later. Congratulations ladies! We'll be in touch with the winners this week and you will be enjoying those Thickers soon! Don't forget to link up your April sketches TO THIS POST by May 20th or send them to us at ideas@scrapbookandcards.com. Don’t forget to link your May layouts when you finished to TODAY's post (yes, right here!) by June 20th for a chance to win, and link to Davinie’s May 1 blog post for a second chance to win. Want to know what you are playing for this time? A great prize package from We R Memory Keepers! They have shared their newest line 72 & Sunny with us to give to you! Enjoy the rest of your month! I’ll see you back here on May 29th with the next winner, and the next sketch. Just remember to link your April sketches to this post by May 20!